Amazing, fascinating, bizarre are words that barely start to describe the bats of the world. Some are big and some tiny. Many have a diet of insects and fruit, yet there are others with more unusual tastes in food - such as the fisherman bat which uses its claws to catch fish and the unjustly demonized blood-eating vampire bats. 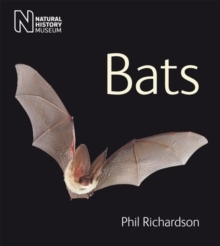 Bat expert Phil Richardson takes the reader on a guided tour of the nocturnal world of bats: where they live, how they feed, and how they survive in almost every habitat on the planet. He uses his experiences of bat watching around the world to describe their complex life cycles, explaining how you can watch and study bats and help conserve these often threatened mammals. He also introduces many of the different species that have fitted so well into the environment. Bats will not fly into your hair, and they are not blind, though most find their food and avoid obstacles in the darkness of night not by vision but by using their remarkable and highly developed sense of echolocation. Their role in pollination is crucial to the environment in which they live. 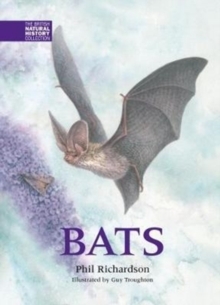 Wherever you live, there are likely to be bats near you, so discover more with the help of this highly readable and beautifully illustrated book.